Study with the best, study with Genpo Roshi, the creator and developer of the Big Mind Process. Roshi leads the evolution of the Big Mind process, guiding participants to experiences and clarity not presently offered by any other teacher or facilitator. 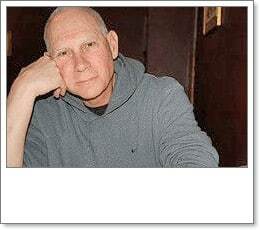 Roshi’s aspiration and his mission for the past 48 years has been to help you and others awaken to their true nature. He has helped thousands of people around the world to actualize and fulfill themselves personally, professionally, and spiritually, and to lead more joyful and awakened lives. If you’re ready to experience deep and sustaining changes in your clarity, confidence and ability to achieve your aspirations and have a desire to share this with others, don’t miss this opportunity to attend this Training with Genpo Roshi. Participants very often express that Roshi’s teachings change their lives dramatically — and for good reason. Because every minute of these remarkable Trainings is designed to facilitate a powerful transformation for yourself and others. Drawing on over four decades of Zen practice and teaching, Roshi weaves easy-to-understand principles, powerful exercises, compassionate coaching and eye-opening insights into a highly experiential Training that will transform you at the core of your being. You will walk out the door happier, more confident, with greater insight and a deeper realization of who you truly are. Whether you want to take your career to the next level, improve your health, enjoy more rewarding personal relationships, become a more joyous and peaceful person — or if you want to work with others who could benefit from these powerful skills — Roshi’s Facilitator Trainings are extraordinary and not to be missed. This event can be counted as 6 of the 18 days of training required in order to be recognized as having completed the Big Mind Facilitation Skills Training. The suggested donation for this event is $3,000 / Early-Bird (until July 31): $2,500. Active Student Discount available. Contact Ivis by e-mail bmfinance@bigmind.org or call 801-328-8414. To reserve and pay online for lodging at the Wasatch Conference Center ECCU, click here. The cost is $80/night, with the option to share the room with a second person at half the rate each. For more information contact Mary Ellen by email or call 801-503-5656. To register offline, e-mail bmfinance@bigmind.org or call 801-328-8414.